While many plants entice pollinators with nectar, fig trees do so with the promise of safety and food for the pollinators’ offspring. For the last 50 million years, fig trees have been exclusively pollinated by symbiotic wasps. The insects are born in the little flowers that make up the inside of the fig fruit and are thus provided with a ready food supply. The winged females and wingless males mate inside the fruit and the fertilized females escape through holes bored in the fig wall. To lay their eggs, females crawl through the bottom of new figs. While entering the fig, they lose their wings and so die encompassed by a flowery tomb. But never fear, this does not mean that you are eating the corpses of a few hundred baby wasps and their mother with every fig! Cultivation of figs dates back to Roman times, making figs one of the oldest cultivated fruit. Millennia of breeding ensure that commercially available figs cannot be used as nurseries by wasps. 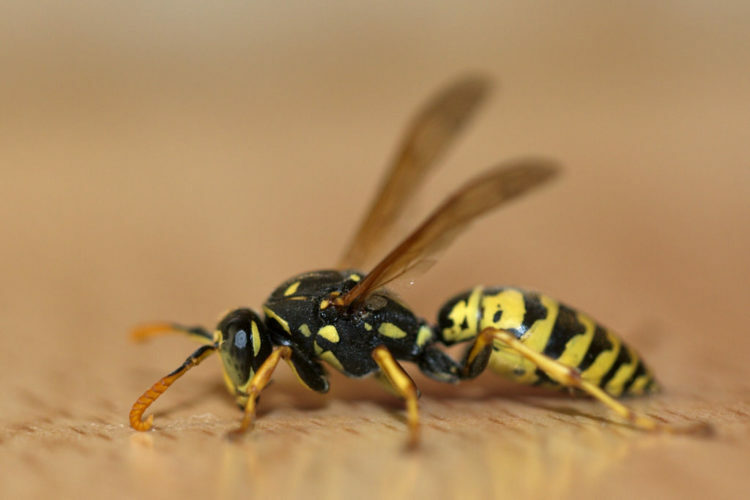 Studying the ancient mutualistic relationship of wild figs and wasps sheds valuable light on how two species first come together as symbionts and then coevolve.